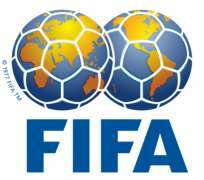 GENEVA, Switzerland, November 7, 2013/African Press Organization (APO)/ -- Eighteen months after South Sudan became FIFA's 209th member association, a programme for top referees and assistant referees in the country finished in Juba on Thursday. It was FIFA's maiden development course in South Sudan. “The importance of this programme goes far beyond the scope of a five-day course. The fact that this is the first time that FIFA organises a development course in South Sudan is seen as a major milestone, which has been confirmed by the football association authorities and the impressive media coverage on site,” said Ahmed El Shenawi, the responsible FIFA instructor.